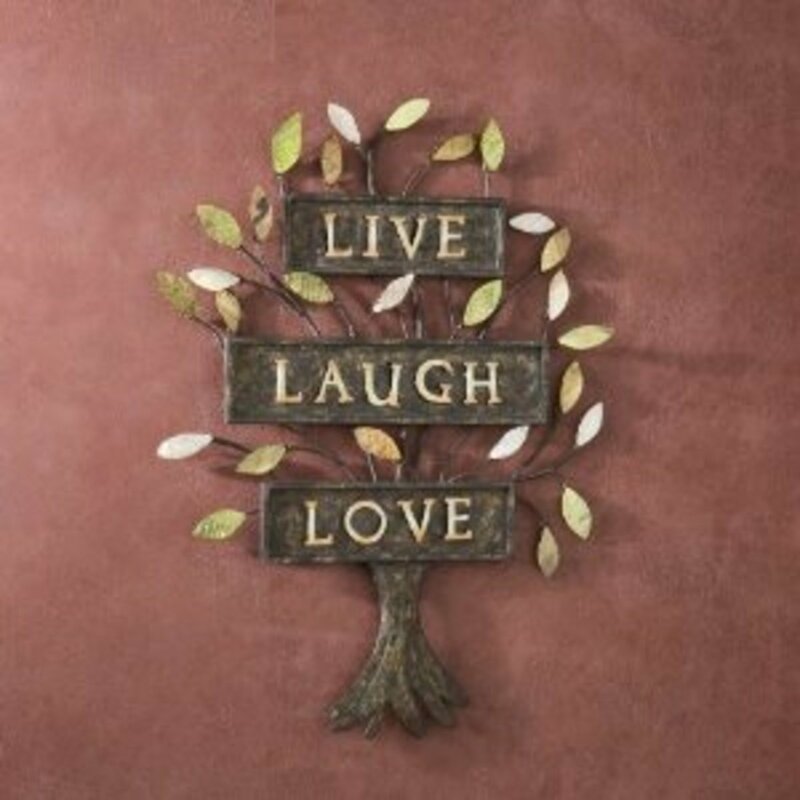 You can now find live, laugh, love wall décor in almost every imaginable form these days. Aside from the classic vinyl wall lettering, the quote is available on hanging picture frames, wood signs, wall sculptures, stone plaques, framed prints and even calendars. People are turning to home accents that add an element of personalization, using quotes is one of many popular means of achieving this. 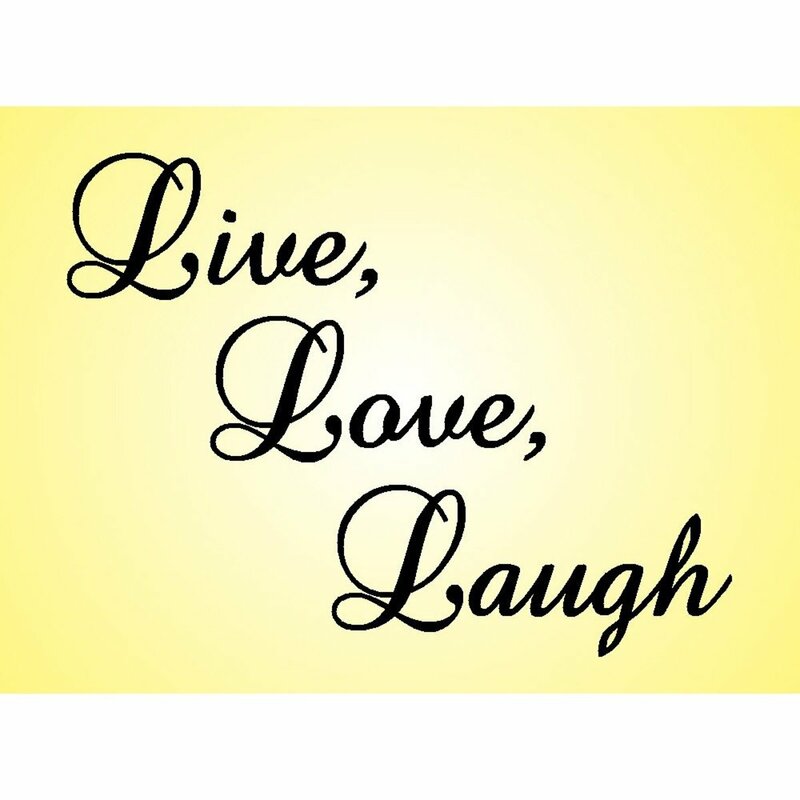 The live, laugh, love sentiment seems to have a universal appeal, probably as it's one of the simplest, but most powerful self-help adages of our day. Yet, woven into its simplicity is indeed a profound message, a reminder to triage what's really important to the top of our daily living to-do lists. Personally, I'm quite fond of the expression... As such, I've rounded up a great selection for you to browse. 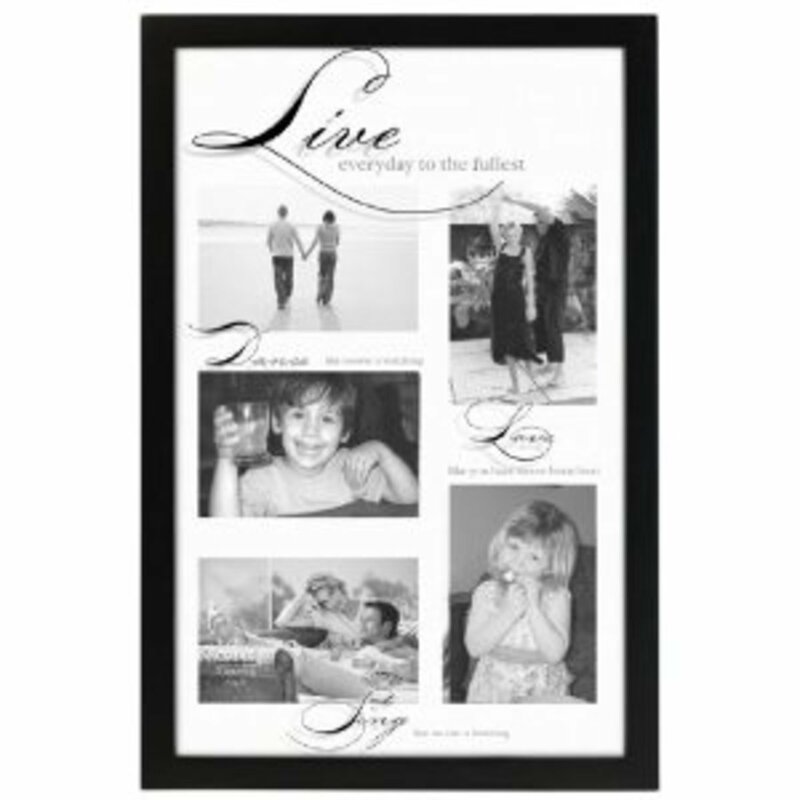 Live, love, laugh wall décor has seen a steady increase in popularity recently. The life quote is one people embrace, for a variety of reasons. In fact, it seems to mean something different to everyone... The origins of the quote are often misattributed to Ralph Waldo Emerson or Robert Louis Stevenson. However, the quote actually came from a 1904 poem written by Bessie Anderson Stanley. It was written for a contest sponsored by Brown Book Magazine in response to the question "What is success?" It was to be answered in 100 words or less. By the way, Bessie won the contest and earned $250, not a bad haul in 1904! 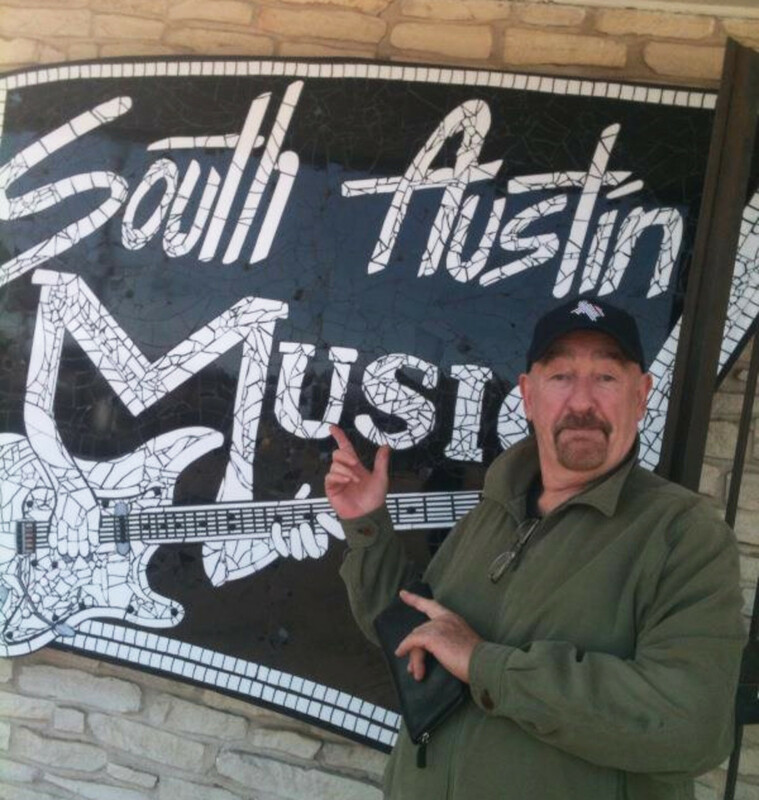 By the way, most vinyl wall lettering is suitable for any smooth surface, so get creative! It can go on beds, mirrors, windows, even doors. They also look great paired with family pictures and portraits. You will first need to determine the amount of wall space you have available, as sizes of course vary widely. Pay careful attention to the measurements, you definitely don't want to get one that's too small or too big, the pictures of the decals can be deceiving. Take note of the measurements then go directly to the wall you're considering. Take some painter's tape and block out the dimensions of the decal in question to get an idea how well the size will work. 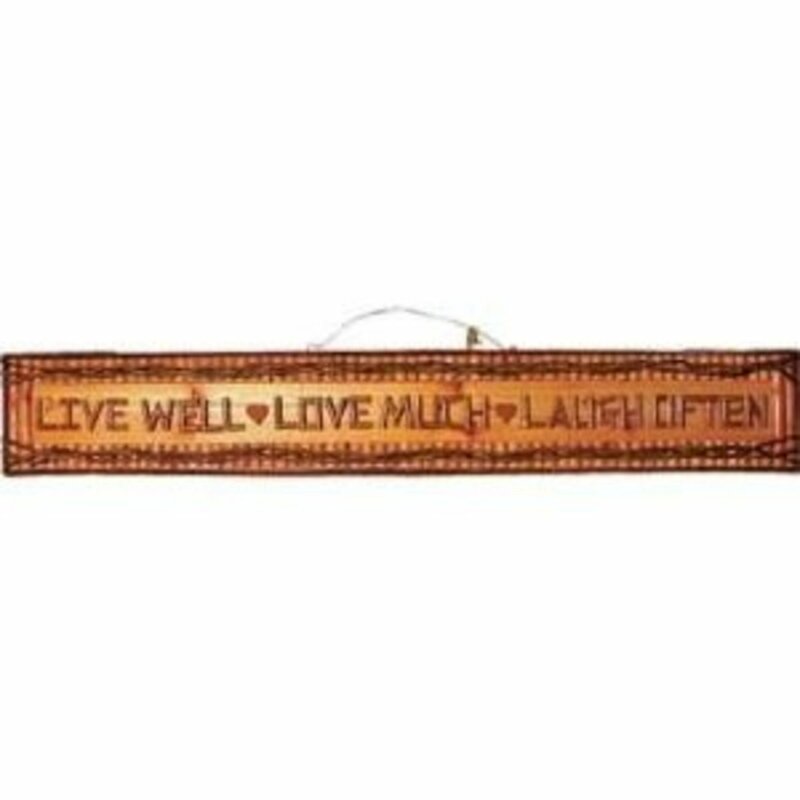 The first one says "Live Well, Laugh Often, Love Much" and measures 3.3"h x 40"w. It is only available in black and is made by Wall Sayings. The second one on the right is large, so use it for rooms with lots of wall space or to make a big statement. It's not going to be subtle! It measures 20"h x 26"w and is available in matte black only. Also by Wall Sayings. My third pick, by LKS Trading Post measures 20"h x 24"w, so it's still somewhat large. One advantage of this one is its wide color availability, 18 color choices in all. You do, however have to email them your color choice or black will be shipped. 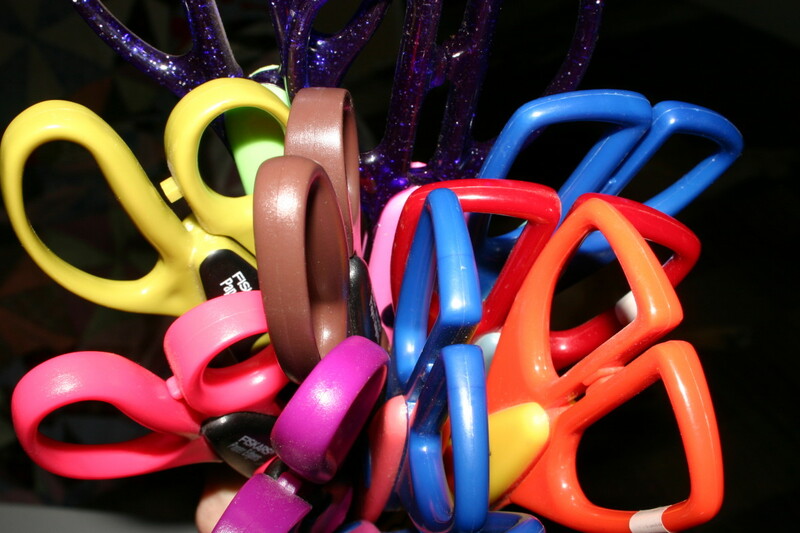 The fourth choice is also by LKS Trading Post and is also available in many different colors. It measures 12"h x 24" w, so it's a nice medium sized version. Remember to email them your color choice! 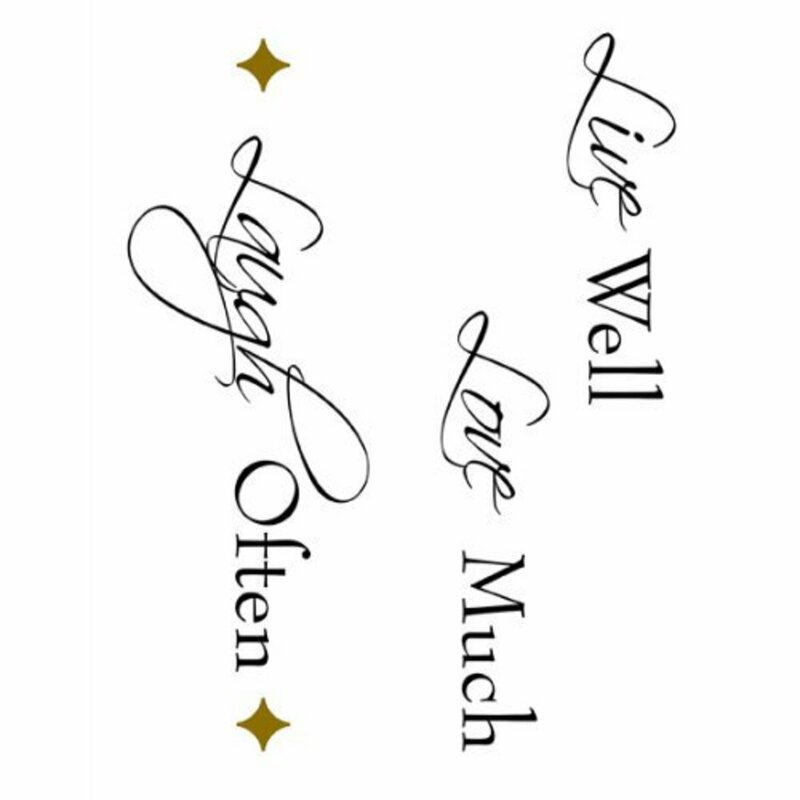 Number five is a fancy version of the Live, Love, Laugh quote. I think it would be fabulous in a living room or family room. It's made by Brewster Home Fashions. One problem with this one is it does NOT specify its measurements. I like the simplicity of the sixth choice by Designer Signs. 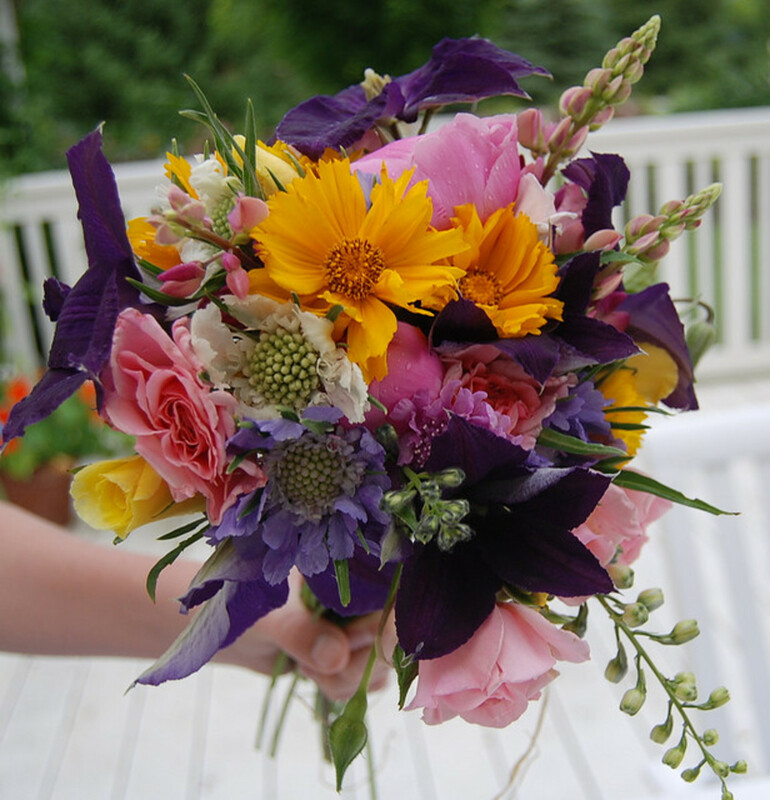 This is a nice medium sized version, measuring 10.5"h x 14"w. This one comes in 25 different colors, too. As with the other companies that offer a variety of colors, make sure you specify which color you want or you'll be sent black. I should probably keep my opinion out of this, but I must say the metal wall words sign is my favorite of all. It's made by Tripar and measures as follows: the love is 12"w x 8"h, the live is 13"w x 7"h and the laugh is 15"w x 8"h. So, you'll need a space that's at least 15"w x 23"h (add a little more to account for the spacing between the words). It's made of tubular black metal with a tough finish to prevent peeling and cracking. 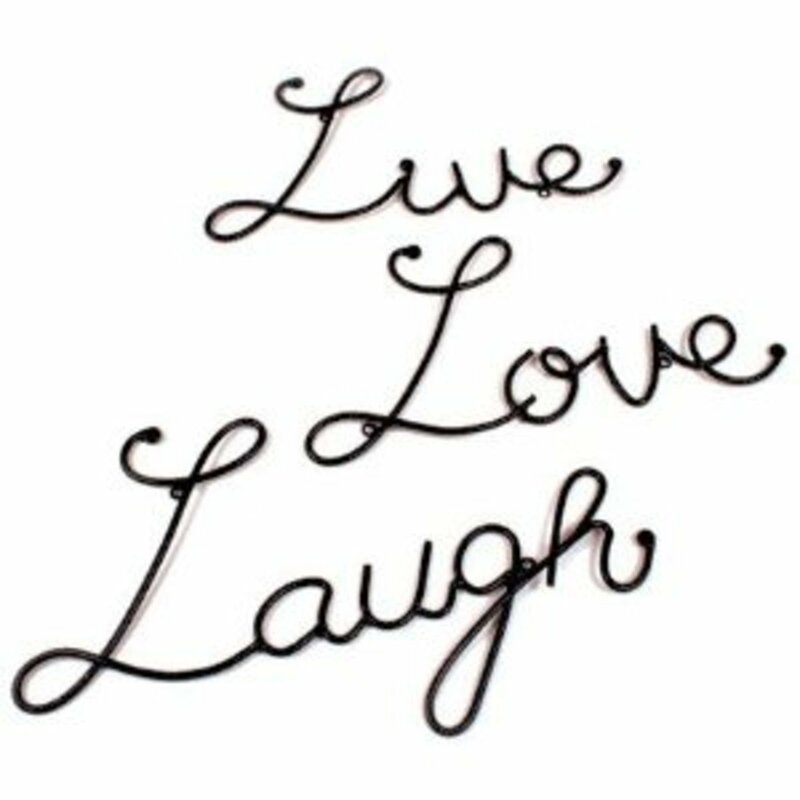 Black hangers are designed into the lettering for easy hanging. The second plaque is hand-crafted and made completely out of wood, log wood. The frame and lettering are made out of twigs. This is perfect for a cozy kitchen feel, or would be great in a cottage. It has two small, red hearts in between the phrases, too. It's a nice size measuring 7" tall by 45" wide. The next one has a similar feel to the one above, but with a crackle paint theme. It's hand stenciled as well as hand painted. It comes with sawtooth hangers already attached. It's hand-cut on solid pine and measures 4"h x 26"w. It comes in a variety of board color choices as well as letter choices, so it's somewhat customizable. The fourth choice is made by Southern Enterprises, Inc. It's made of metal and is a sculpture that you hang on the wall. It's hand-painted with capiz shell leaves, the paint is a distressed finish and it's made of metal. It measures 18"w x 1"d x 24"h and weighs a total of 4.8 pounds. 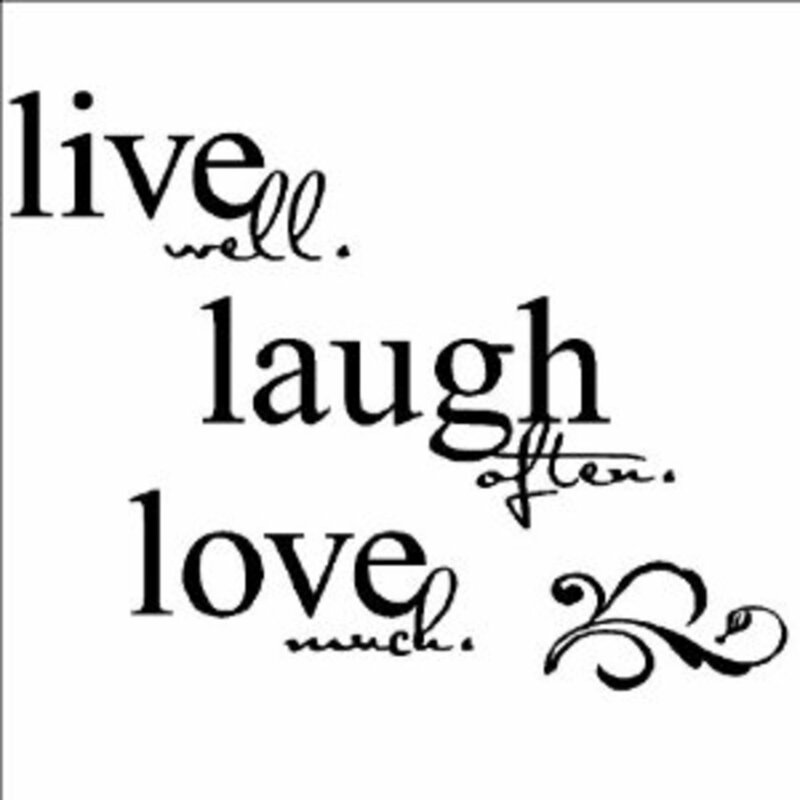 It's a unique form of expressing the live, love, laugh sentiment, too! My final choice is for those with a sense of humor! 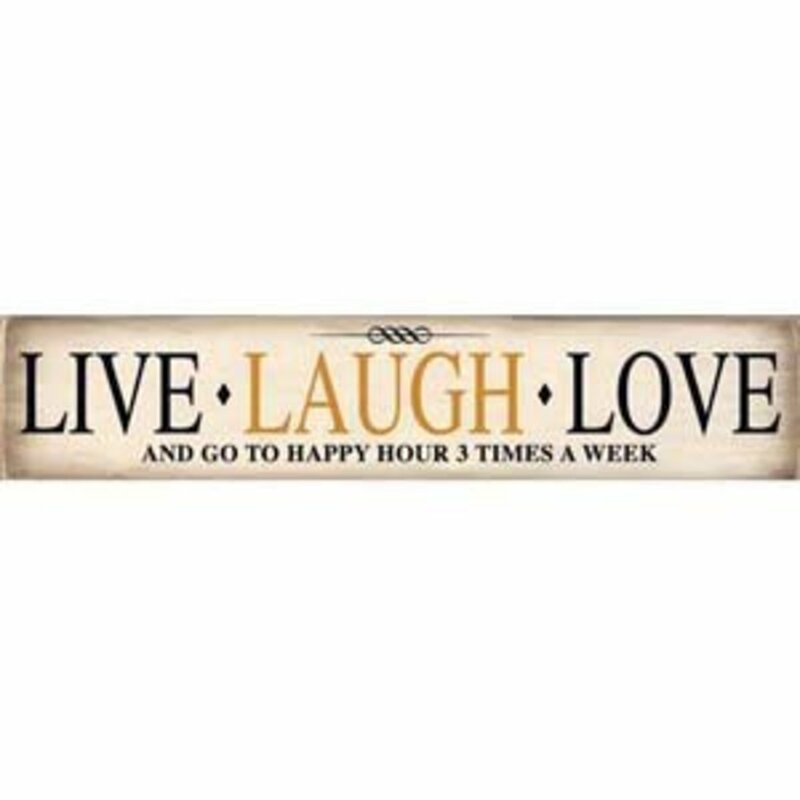 It says: "Live, Laugh, Love and go to happy hour 3 times per week." It's a silk screen on pine and can readily be hung either on a door frame or wall. 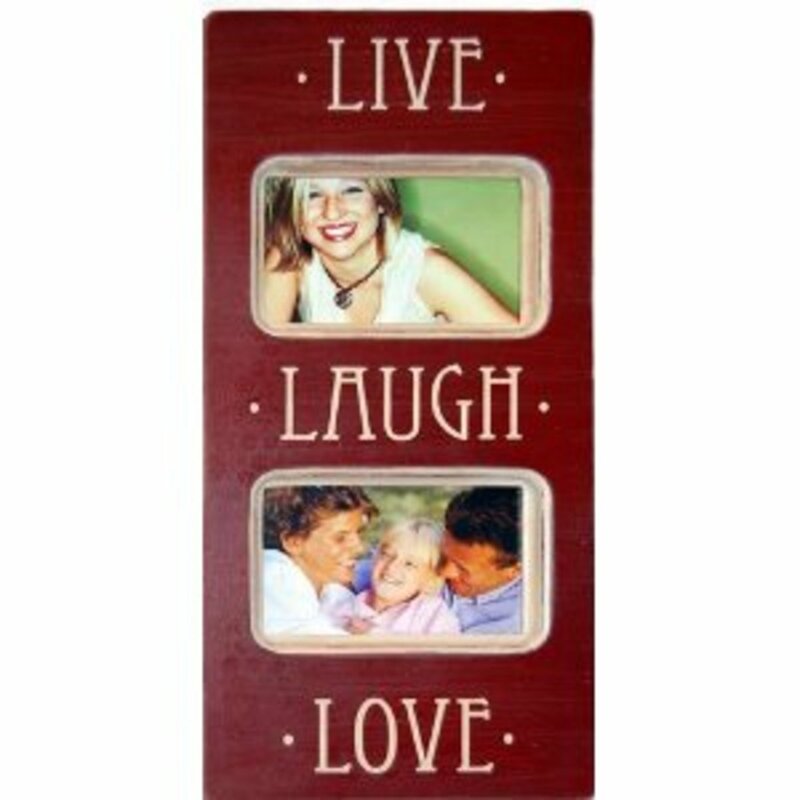 It measures 16"w x 3.5"h.
I love the idea of merging the live, laugh, love sentiment with family pictures. My first pick by Malden is a wooden frame with metal lettering. 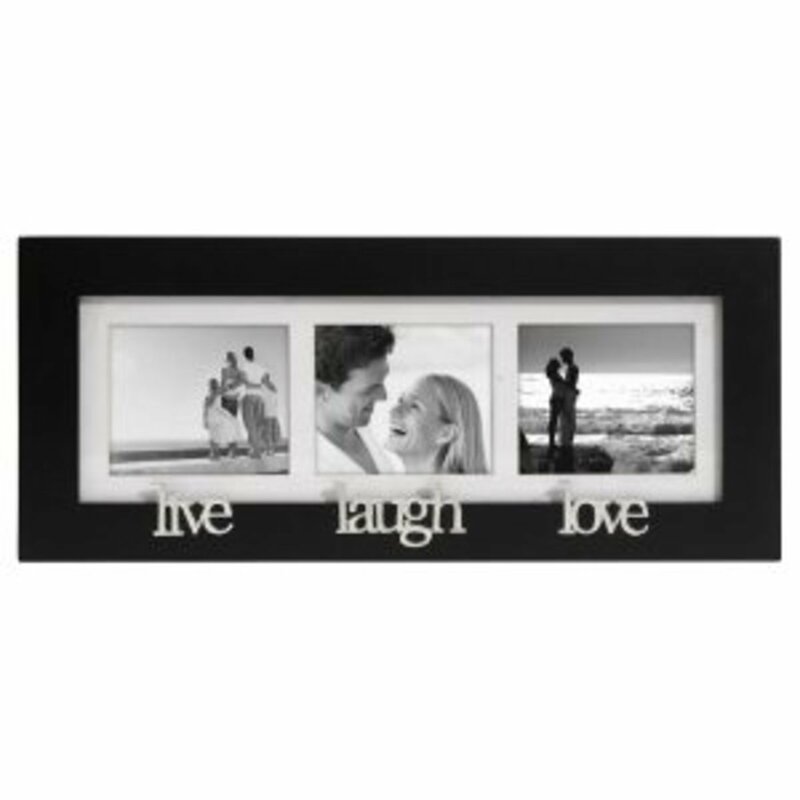 The frame has that modern appeal and look great with black and white photographs. It holds three 2x3 inch photos. The next hanging frame by Uniek is nice for a slender wall. It holds a total of four 4x6 inch photos. It's made of MDF composite to stand the test of time. It's 31.75" h x 9.5"w and is 1/2" in depth. The finish is a nice satin black. The next one is a creative spin on the theme, but it's just so appropriate for so many families. 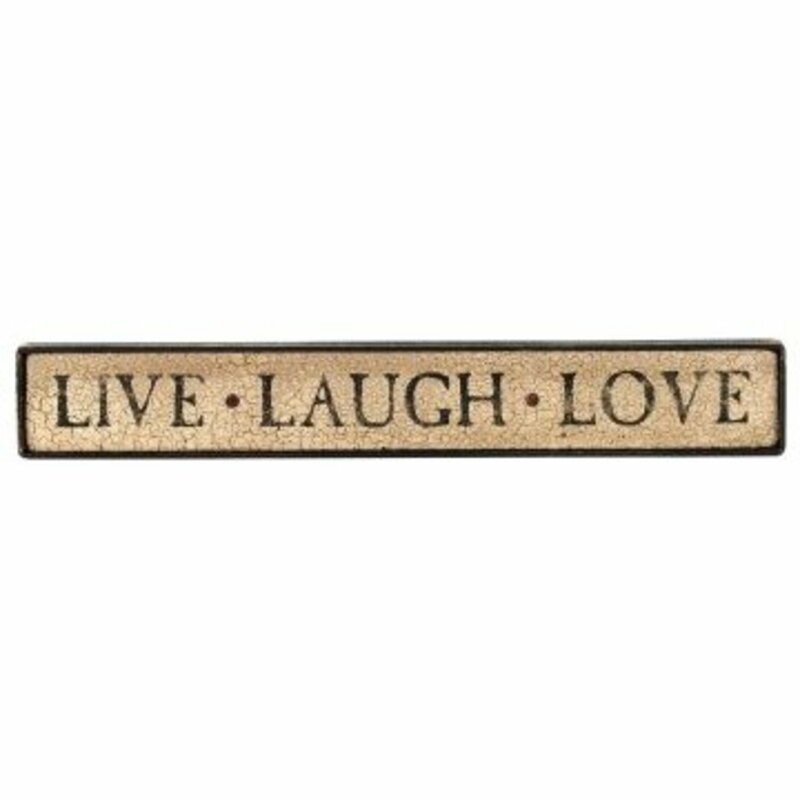 It says: "Live everyday to the fullest, Dance like no one is watching, Love like you've never been hurt, Sing like no one is listening." 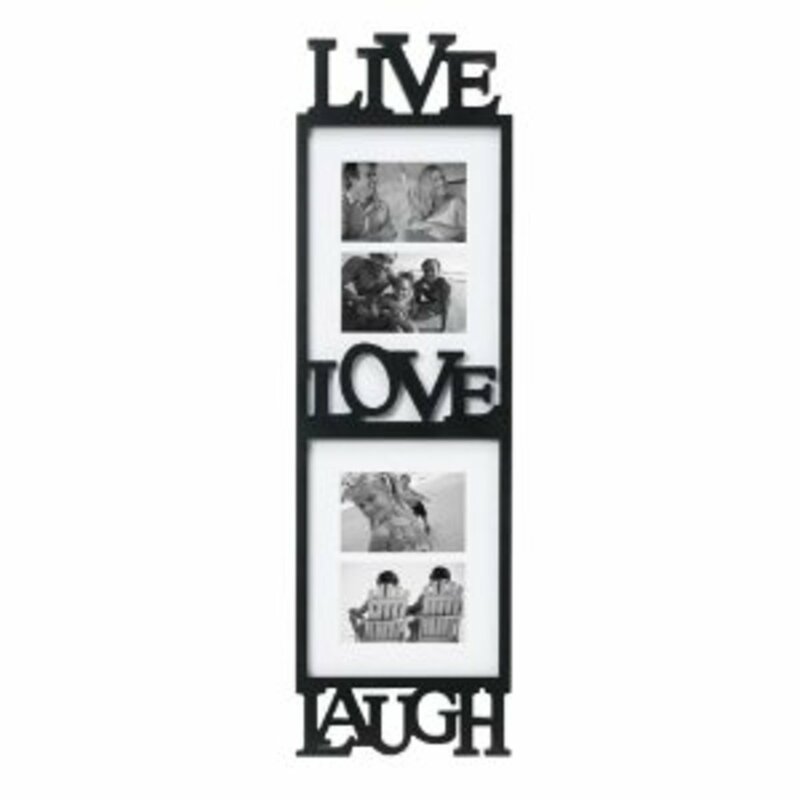 It holds up to five 4x6 inch photographs, has a wood frame with a black finish. 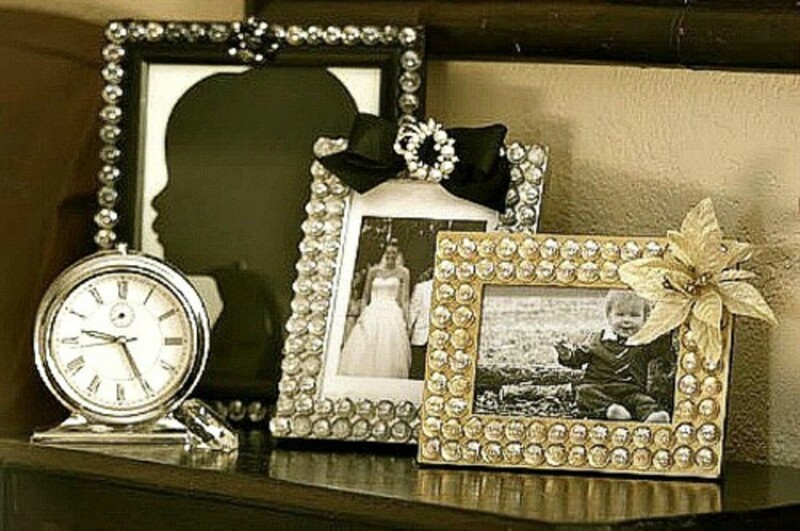 I think this would be a great addition to a family room, perfect in a collage of photographs. It's 14/8" x 1.1" x 21.9". I adore the cheerful red in the final hanging photo frame. There aren't many more of these in stock through Amazon right now, so I do hope they'll get more in. This burgundy, wood frame holds two pictures and is ready for wall mounting. It's 18" h x 8" w and is .8" in diameter. 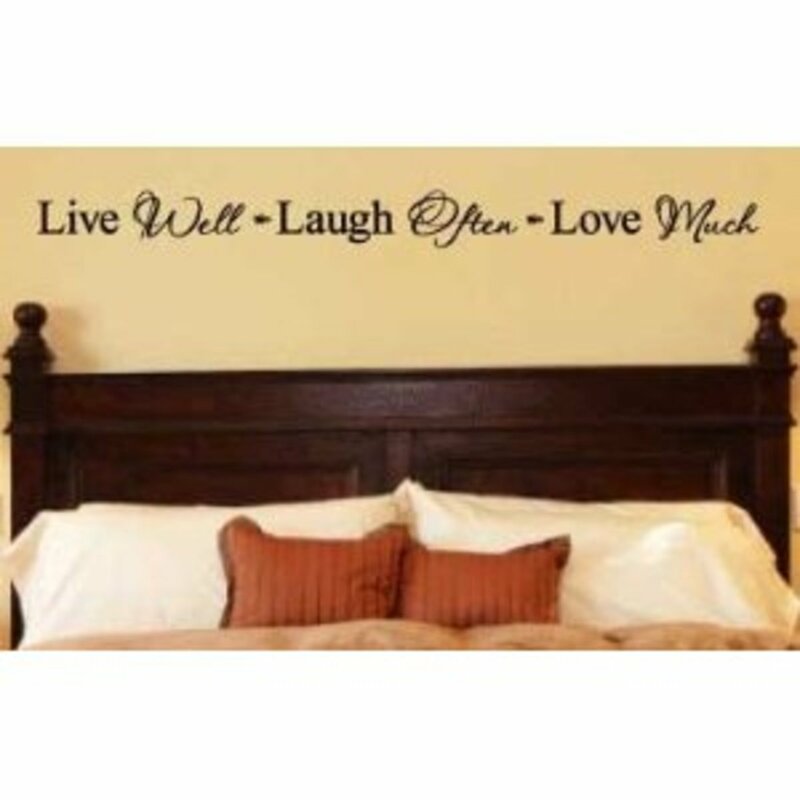 For more ideas, check out wall stickers for bedrooms. And, remember to be creative! There's no limit to where you can put them, I've even seen some people use them as outdoor accents. Have fun! That's amazing. So beautiful, elegant and above all meaningful. Excellent hub. Great Hub. 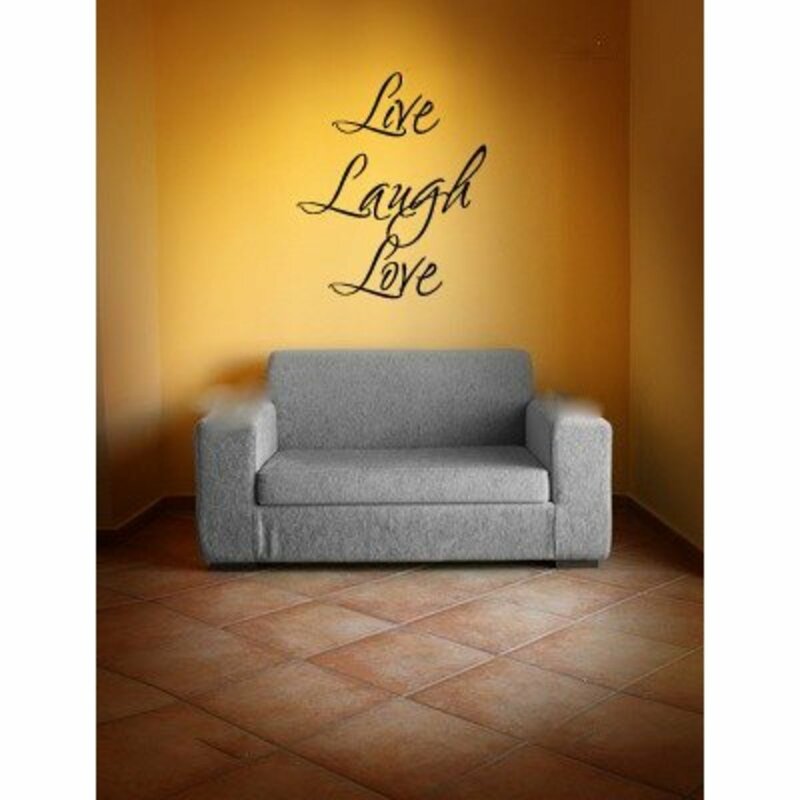 These wall decals are awesome! I have a sister-in law that makes these and has them all over here home. Oh, YAY! What a nice way to start my day, with comments from two of my very favorite hubbers: Lily Rose and Rebekah. 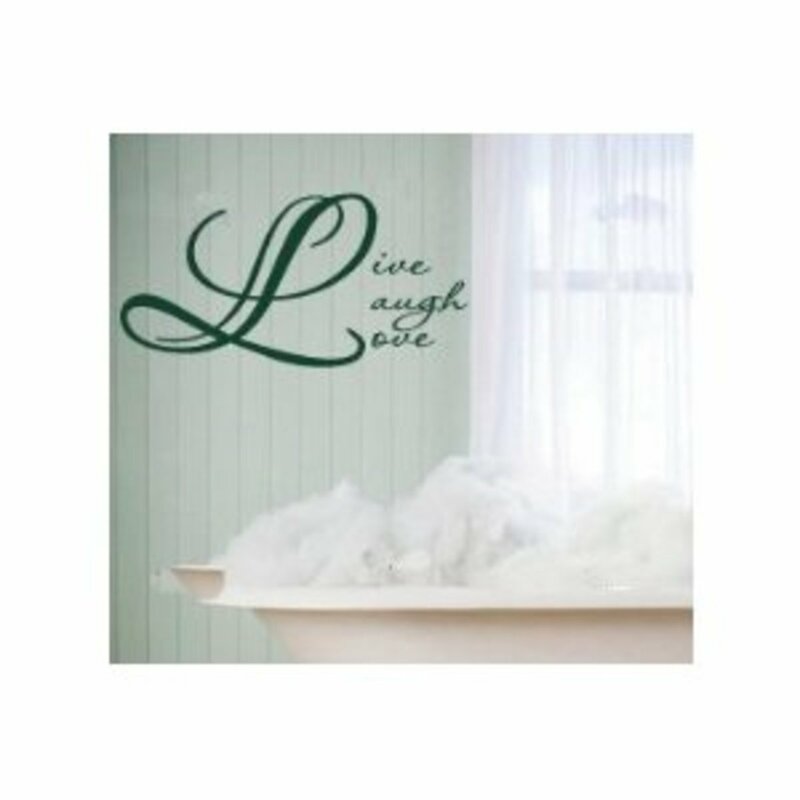 I also love wall decals, Lily Rose especially in our kids rooms. 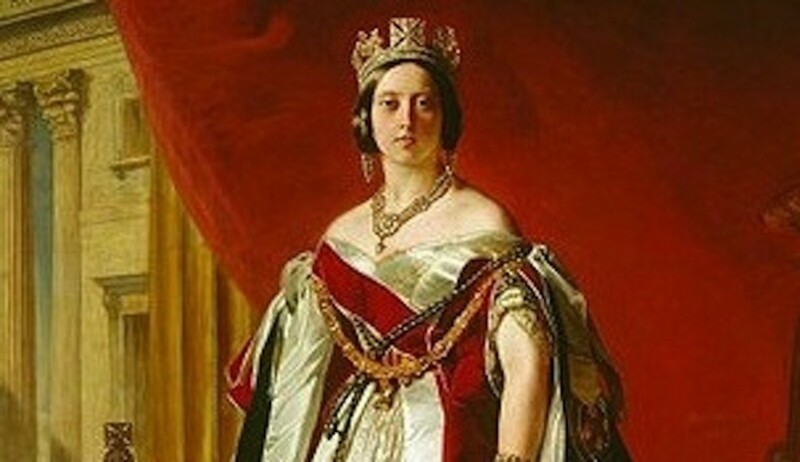 I really enjoyed discovering the original poem, Rebekah. You're right about it being simple and authentic. Thought I should give the creator some credit. Great to see you both. 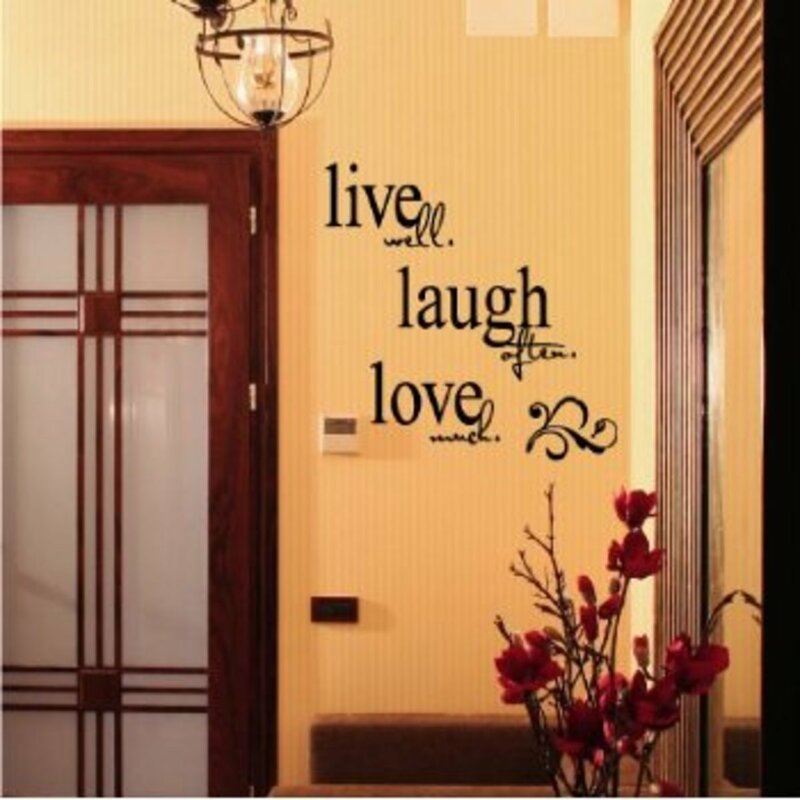 Hi WS ~ I LOVE wall decals! I used flowers in my daughter's bedroom randomly spread out on the walls and everyone thinks they were hand painted - it looks great! I've always wanted a quote in the kitchen but I just don't have the space now.